Back in October I posted a few digital shots from a fantastic holiday in Lower Largo on the Fife coast in Scotland. I also shot a few rolls of film that week and got some of the results back from the lab a few days ago. 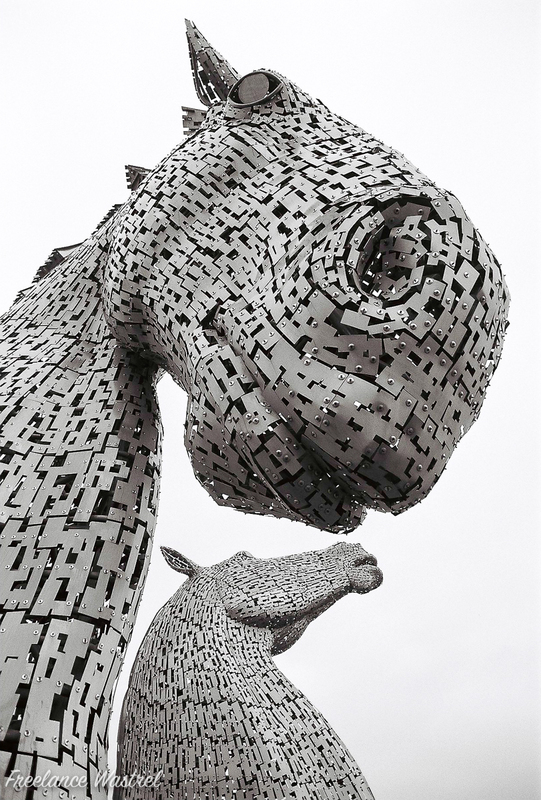 The Kelpies stand 30 metres high, next to an extension to the Forth and Clyde Canal in The Helix, a new parkland project in Falkirk. Completed in 2013, the sculptures were designed by sculptor Andy Scott and are still a magnificent sight on the greyest and dampest of days. The Nikkor 20mm lens allowed me to get both Kelpies in shot from a very close range but I had a heck of a job keeping raindrops off the front of the lens! It really was a miserable day weather wise but they still looked fantastic… next time I’m up in Scotland I’d like to have a go at photographing them at night.